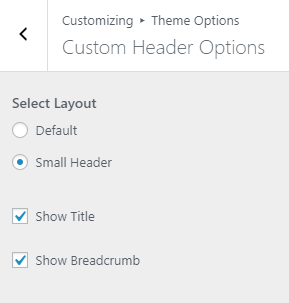 6.6.How to manage Custom Header Options? 6.8.How to manage Layout Options? 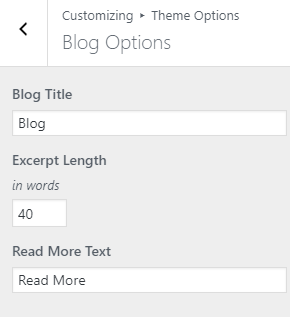 6.9.How to manage Blog Options? 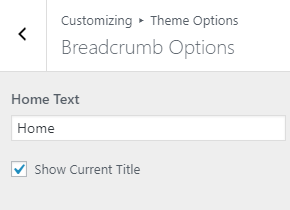 6.10.How to manage Breadcrumb Options? 6.11.How to manage Footer Options? 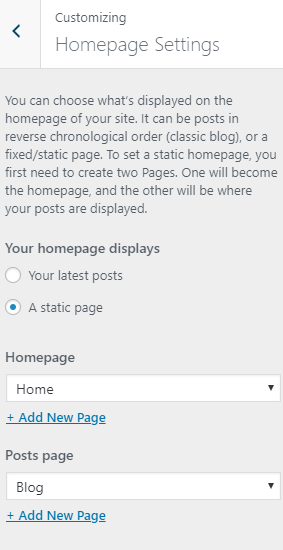 10.How to manage Homepage Settings? Click Browse Locate travel-gem-pro.zip Theme in your computer. Select travel-gem-pro.zip and click Install Now. Unzip travel-gem-pro.zip to your Desktop. Using an FTP client to access your host web server, go to /wp-content/themes/ and upload your new copy of Travel Gem Pro Theme. Top Header Section:To display the social links at the top left go to Admin Panel / Customize / Theme Options / Social Options and add social links. Top right section is setup from Admin Panel / Appearance / Customize / Theme Options / Header Options. Refer below How to manage Header Options and Social Options? for more details. Site Identity and Primary Menu Section: The Site Identity section is setup from Admin Panel / Appearance / Customize / Site Identity and for Primary Menu section you need to create a menu and assign its location to Primary Menu going to Admin Panel / Appearance / Customize / Menus / Menu Location. Refer below How to manage Site Title, Logo, Tagline and Site Icon? 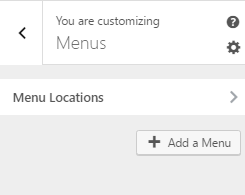 and How to manage Menus? for more detail. Slider section: This section is setup using the widget Travel Gem: Slider . Refer below How to manage theme available widgets? for more detail. Search Section: This section is setup using widget Travel Gem: Trip Search. Refer below How to manage theme available widgets? for more detail. Why Choose Us section: This section is setup using widget Site origin: features. It is the default widget from the site origin plugin. Refer below How to manage theme available widgets? for more detail. Popular Destination Section: This section is set up using widget Travel Gem: Trips carousel. Refer below How to manage theme available widgets? for more detail. Our Achievements Section: This section is set up using widget Travel Gem: Stats. Refer below How to manage theme available widgets? for more detail. Review Section: This section is set up using widget Travel Gem: Reviews Trips. Refer below How to manage theme available widgets? for more detail. Powerful Team Section: This section is set up using widget Travel Gem: Team. Refer below How to manage theme available widgets? for more detail. Happy Clients Section: This section is set up using widget Travel Gem: Testimonials. Refer below How to manage theme available widgets? for more detail. Featured Trip Section: This section is setup using widget WP Travel: featured. note: For this widget you must activate the plugin WP Travel. Refer below How to manage theme available widgets? for more detail. Trips By Type Section: This section is set up using widget WP Travel: Trip Type. For this widget you must activate the plugin WP Travel. 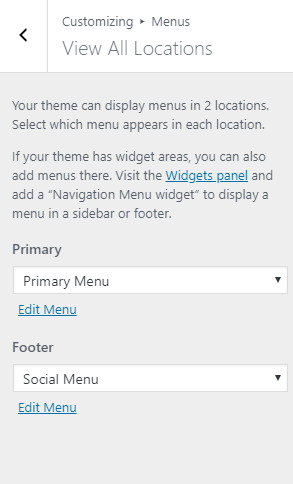 Refer below How to manage theme available widgets? for more detail. 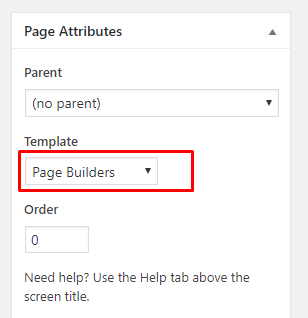 Footer Widget: This section is set up placing the required widget in Footer widget area Footer 1, Footer 2, Footer 3 and Footer 4 . In the demo the widgets are Text , Recent Posts , Travel Gem: Address and Gallery . Refer below How to manage theme available widgets? for more detail. Select Activities: This option allows you to chose the activities. The activities listed here comes from the activities that you have created using WP Travel plugin from Admin Panel / Trips / Activities. Number of Activities: This option allows you to limit the no of activities to display. Title Alignment: This option allows you to chose the alignment of the title for the widget. Select Icon: This option enable to change icon. 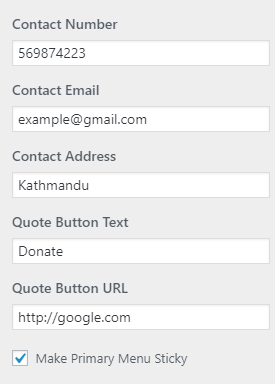 Enter Address Details like Phone Number / Address / Location: This option enable to enter address heading. Enter Details for Above Fields: This option helps you to enter details for above fields. Title/subtitle Alignment: This option allow to chose the alignment of the title/subtitle for the widget. Brands: It changes the tagline (i.e:Description) of the site. Just below site title. Logo: This option enable to upload the logo. URL: This option allow you to add the URL to link the logo. Select Content: This option allow you to chose the page/post to link the logo to that particular post/page. Settings: Open URL in New window This option allow you to enable/disable the options to make link open in new window . Secondary Button URL: This option allow you to enter the secondary button URL. Title Alignment: It allow you to chose the alignment of the title. Intro: You can enter the content as introduction. Image: This option allow you to upload the image. Image Size: This option allow you to chose the image size to display in this section. Image Alignment: This option allow to change alignment of the image. More Button text: This option allow to change the More button text. More Button URL: This option allow to change the More button URL. 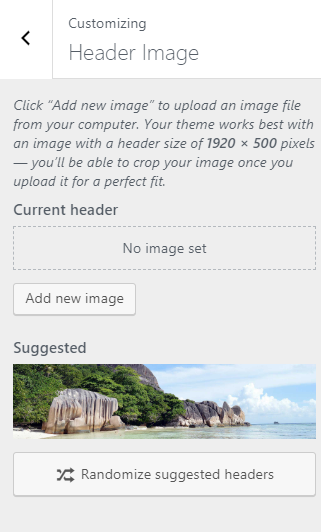 Featured Image: This option allows to select the sizes of the images. Explore Button Text: This option allows to change the Explore Button Text. Explore Button URL: This option allows to change the Explore button URL. Sub Titl : It changes the subtitle of the widget. 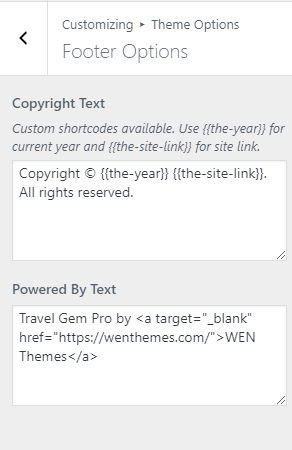 Note: To use this widget, first please make sure ‘WP Travel’ plugin is activated and products are added. Services: Under this section you will find following options. Title: It changes the title of the service. Link: This option enables you to enter the link. Icon: This option enables you to upload the icon. Icon Color: This option enables you to change the icon color. Description: This allows you to enter the description about the service. Settings: Under this section you will find following option. Select Layout: This option allow you to select the layout as per your requirement. Number of Columns: You can manage the number of column from this option. Open URL in new window: Enabling this option allow you to open the URL in new window. Showcase: Under this section you will find following options. Title: It changes the title of the Item. Type: This option enable you to enter the item type. Description: This option enable you to enter the description of the item. Image: This option enable you to upload the image. URL: This option enable you to enter the URL. More Button Text: This option allow you to change the more button text. Slide: Under this section you will find following options. Title: It changes the title of the slide. Sub Title : It changes the subtitle of the slide. Image: It allow you to upload the image for the slide. Destination URL: This option allow you to enetr the destination URL. Primary Button Text: This option enable you to change the primary button text. Primary Button URL: This option enable you to enter primary button URL. Secondary Button Text: This option enable you to change the secondary button text. Secondary Button URL: This option enable you to enter secondary button URL. Caption Alignment: This option allow you chose the caption alignment. Slide Title Color: This option allow you to change the slide title color. Slide Subtitle Color: This option allow you to change slide subtitle color. Transition Effect: This is for the transition effect for the slider. Transition Delay: This is for the slider image transition delay. Transition Duration: This is for the slider transition duration. 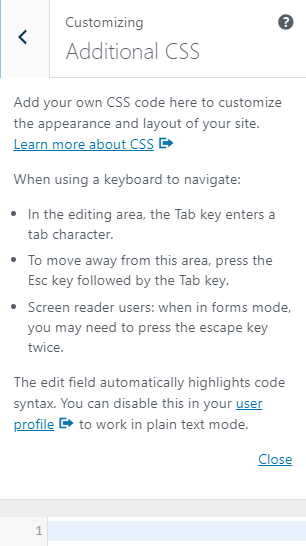 Enable Caption: This will enable caption in the slider. Enable Autoplay: This enables the autoplay of the slider. Enable Overlay: This enables the overlay in the slider section. Enable Arrow: This will enable arrow navigation in the slider. Enable Pager: This will enable pager navigation in the slider. Select Page: You can choose a special page to display. Stats: Under this section you will find following options. Title: It changes the title of the skill. Number: This option enable you to enter the percentage of the skill. Icon: This option enable you to change the color . Number of Columns: This option allow you to set no of column. Stat Title Color: This option allow you to change title color. Stat Number Color: This option allow you to change number color. Stat Icon Color: This option allow you to change icon color. Members: Under this section you will find following options. Name: This option enable you to change the name of the team member. Position: This option enable you to enter position of team member. Icon: This option enable you to upload the icon . URL: This option enable you to enter the URL . Social Links: Under this section you will find following option. Icons: This option allow you to chose the icon fron available option for social links. URL: This option allow you to enter the URL for Social Links. Title/subtitle Alignment: It allow syou to chose the alignment of the title/subtitle. Testimonials: Under this section you will find following options. Name: Enter the name of author of the testimonial. Location: This option enable you to enter Location. Message: This option enable you to enter the message of the author. Image: This option enable you to upload the image of author . Enable Autoplay: This option allows you to enable/disable autoplay. Transition Delay: This option allows you to manage the transition delay. Select Trip Type: This option allows you to chose the trip type. The trip type listed here comes from the trip type that you have entered using WP Travel plugin from Admin Panel / Trips / Trip Type. Enable Autoplay: This option allow you to enable/disable autoplay. Transition Delay: This option allow you to manage the transition delay. 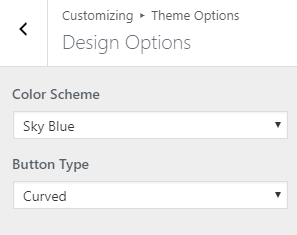 Color Scheme: This option allows you to change color scheme that would apply for the whole site. Button Type: This option allows you to change button type i.e. the shape. Available options are rectangle and curved. 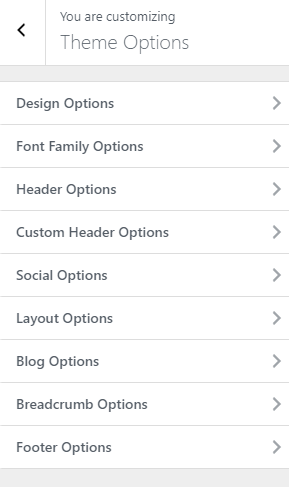 You can customize font family settings from here. Select the desired font from the dropdown for different elements. 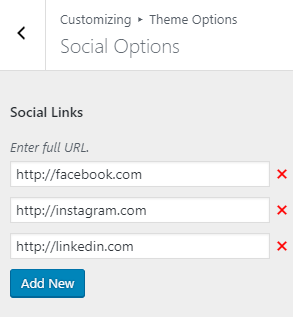 Social Links : This option allows you add the social links. Full URL should be entered for social links. Image in Single Post/Page: This option is for changing the image in single post/page, choose available options from drop down. 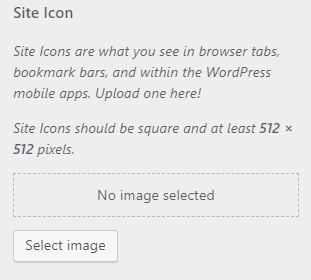 No Image and Large are the available options. 2. From Widgets, you will see different sections to add widget where you will be able to Add a Widget or Remove widgets by going to a particular widget section. 3. And the added widget will be displayed in a particular section that you have added. 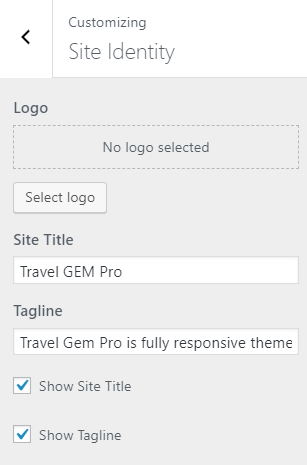 Using an FTP client to access your host web server, go to /wp-content/themes/ and upload your new copy of Travel Gem Pro Theme which shall replace the old files.